Cuker is following suit with the Eldorado Outdoor site, providing the company the ability to leverage interactive design and marketing features seamlessly, delivering a full brand experience to customers. The Eldorado Outdoor site features top-notch user-friendly design, custom navigation and visually stunning displays. 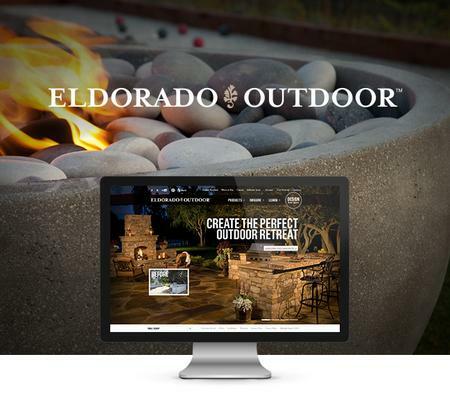 Cuker provided Eldorado with a visually appealing and branded eCommerce site necessary to sell the company’s premium outdoor fireplace and kitchen products while marketing their brand content online through all digital touch points. Eldorado Stone, LLC is headquartered in San Marcos, California. It is a subsidiary of Headwaters Incorporated, a world leader in creative value through innovative advancements in the utilization of natural resources. Eldorado Stone currently operates manufacturing facilities in several states with regional distribution centers across the U.S.